The Chief Executive of Sport England has urged the sport and physical activity sector to remain focused on the "stubborn inequalities” that persist after latest survey findings showed an increase in participation amongst some less active groups. 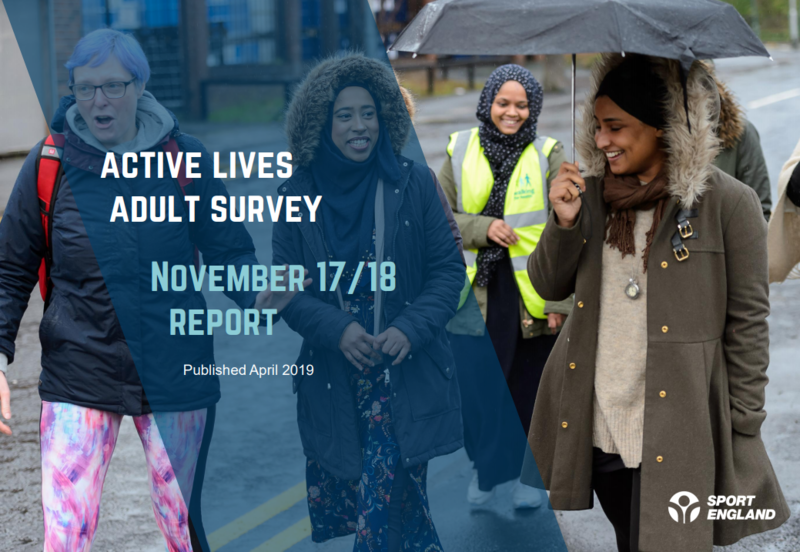 Tim Hollingsworth said he was encouraged by the findings from the Active Lives Adult Survey for the 12 months up to November 2018, with more women, older adults, disabled people and those with long-term health conditions getting active. “Things are moving in the right direction, however, stubborn inequalities remain which show that sport and physical activity still isn’t appealing to everyone,” said the Sport England CEO. Based on data gathered from, a total of 498,100 more people (aged 16+) are meeting the Chief Medical Officer’s guidelines of doing at least 150 minutes of moderate intensity physical activity a week compared to 12 months ago. In addition to the increase in people classed as active, the number of inactive adults – those doing fewer than 30 minutes of physical activity a week – has reduced by 185,000. These figures mean that 62.6% of the adult population are now classed as active, with 25.1% now inactive. The results, based on a sample of 180,000 members of the public, show specific increases in the number of active women, with a year-on-year increase of 286,000. This means the gender gap between the numbers of men and women who are physically active is continuing to narrow. Despite these positive results the survey findings show that women from lower socio-economic groups and black and South Asian communities are still less likely to be active. 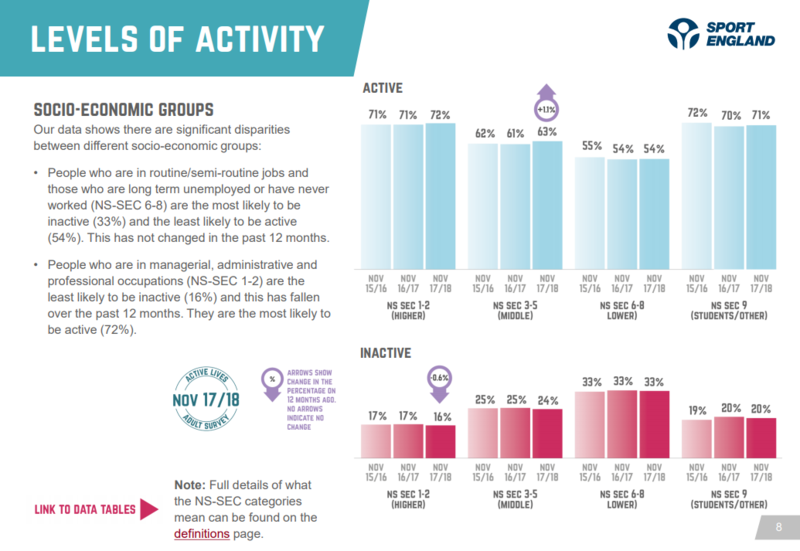 Furthermore, there was no change in the number of people from lower socio-economic groups who are getting active and they remain significantly less likely to be active than those from higher socio-economic groups. Tim Hollingsworth added: “It isn’t right or fair that people on a low income, women and black and South Asian people are still less likely to be active. We’re working hard to address that across all of our programmes, with a new stage of the This Girl Can campaign, Fit Got Real, just one example. Sports minister Mims Davies MP added: “There is still much more to do to tackle stubborn inequalities in participation. I want the sector to continue to innovate and make sure that everyone, no matter what background they are from, can get and stay active." Download the November 17/18 report.